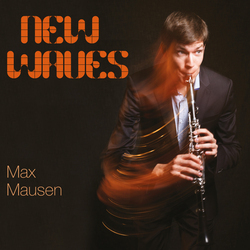 Debut album 'New Waves' out! Have a listen, order for yourself or as a gift for a friend. The physical CD also comes with a digital copy, which you can immediately download and enjoy from your portable music device of choice. Here are some excerpts from major clarinet works. The complete recordings can be found and downloaded from my Soundcloud site. Please also have a look on my Bandcamp page for a mix of different styles as well.